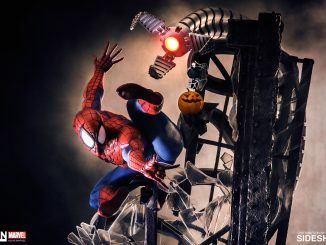 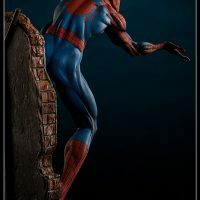 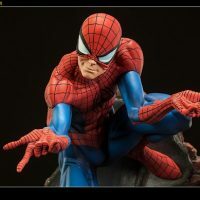 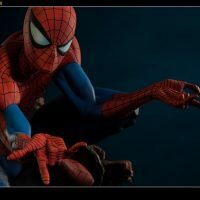 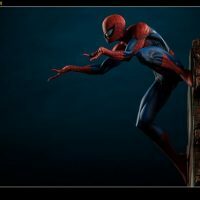 The wall-crawler finally joins the party as the Spider-Man Polystone Statue arrives on the scene to complete the visually stunning collection created by comic artist J. Scott Campbell. 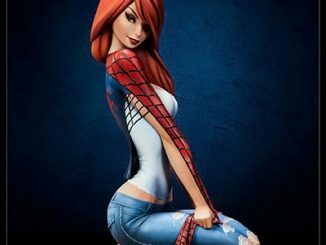 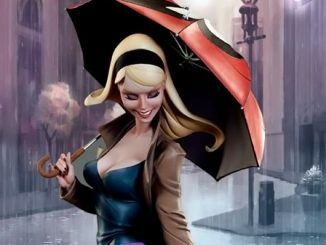 We got our first look at Campbell’s vision for Spider-Man with the Mary Jane Polystone Statue, which was soon followed by the Gwen Stacy Polystone Statue. 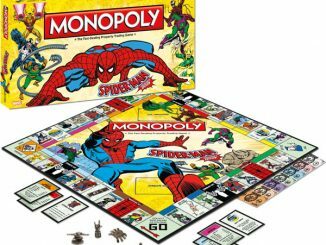 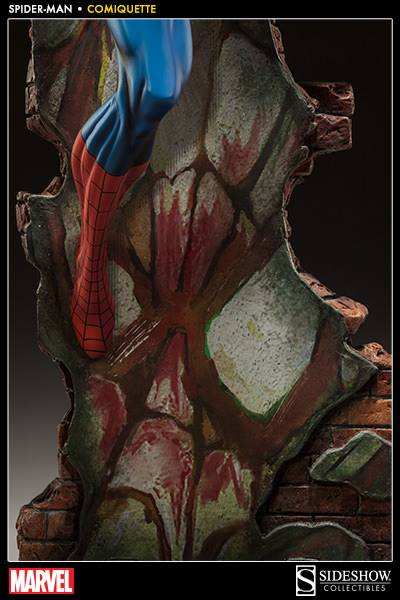 Now, Spidey joins his two special ladies with a highly-detailed, 19-inch-tall statue of Spider-Man clinging to a wall that happens to have a very unique design on it. 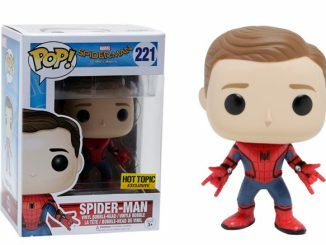 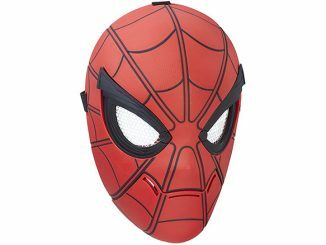 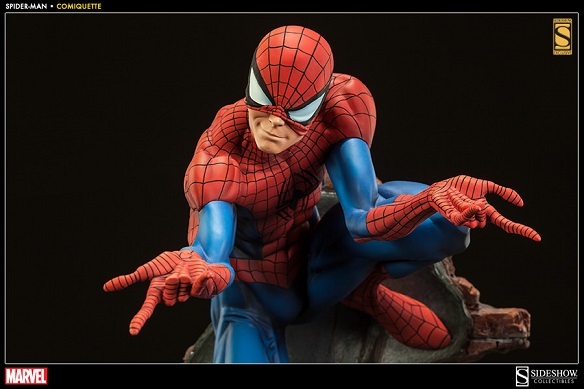 Ol’ Webhead even comes with a special Switch-Out Head revealing Peter Parker’s face… which makes it easier to lock lips when taking a break from fighting crime. 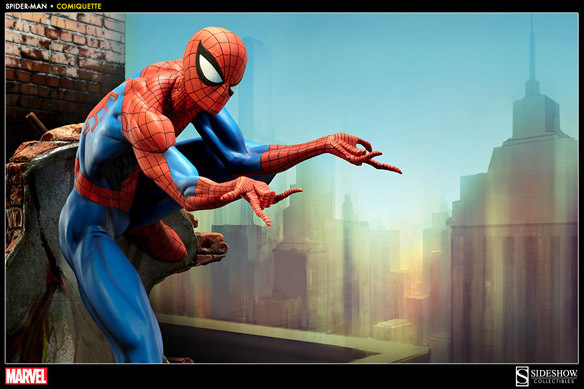 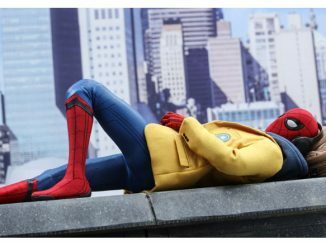 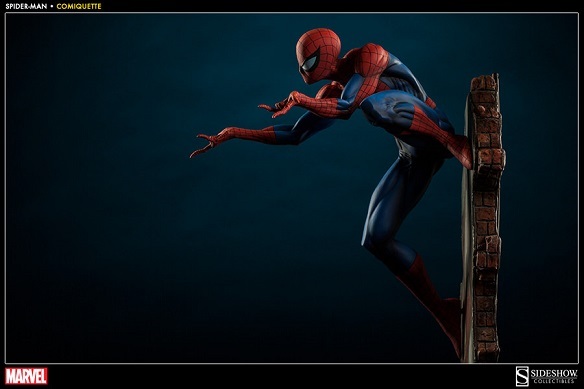 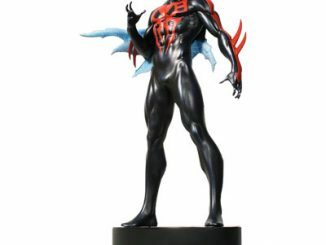 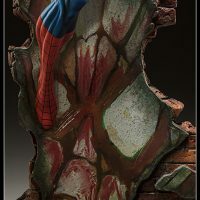 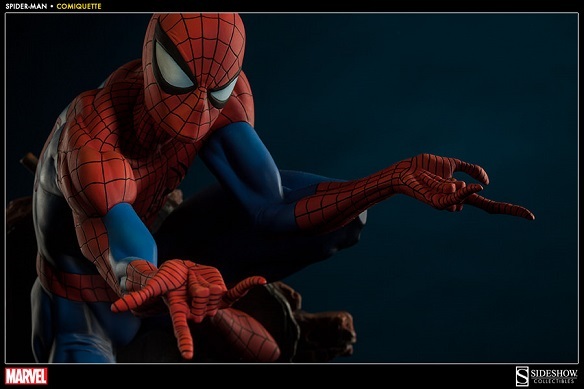 The Spider-Man Polystone Statue will be available May 2014 but it can be pre-ordered now for $299.99 (or for as little as $67.50/month) at Sideshow Collectibles.